On my baby's nursery inspiration board, I had included Ursa Bear from Tweek Studio ... my sweet mom purchased the Ursa Bear for me/baby off of my baby registry. It came earlier this week, and Ursa is beautiful! 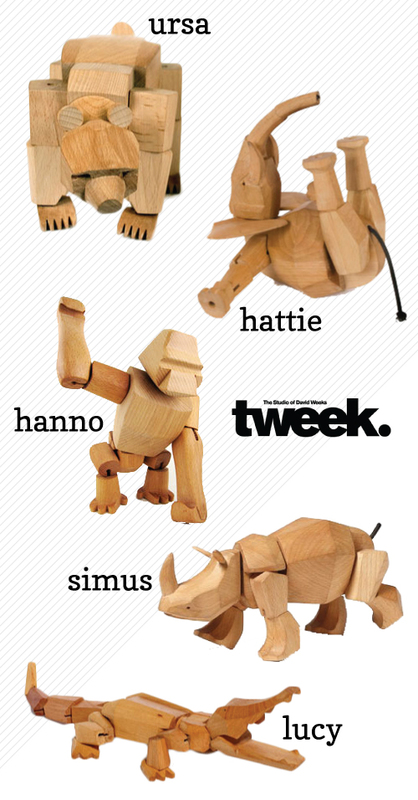 I love the whole "zoo"of animals for Tweek Studios including their fitting names. These solid Beech wood animals are absolutely gorgeous and I feel like they are the kind of toys that a child would keep forever, and perhaps even pass down to their children. 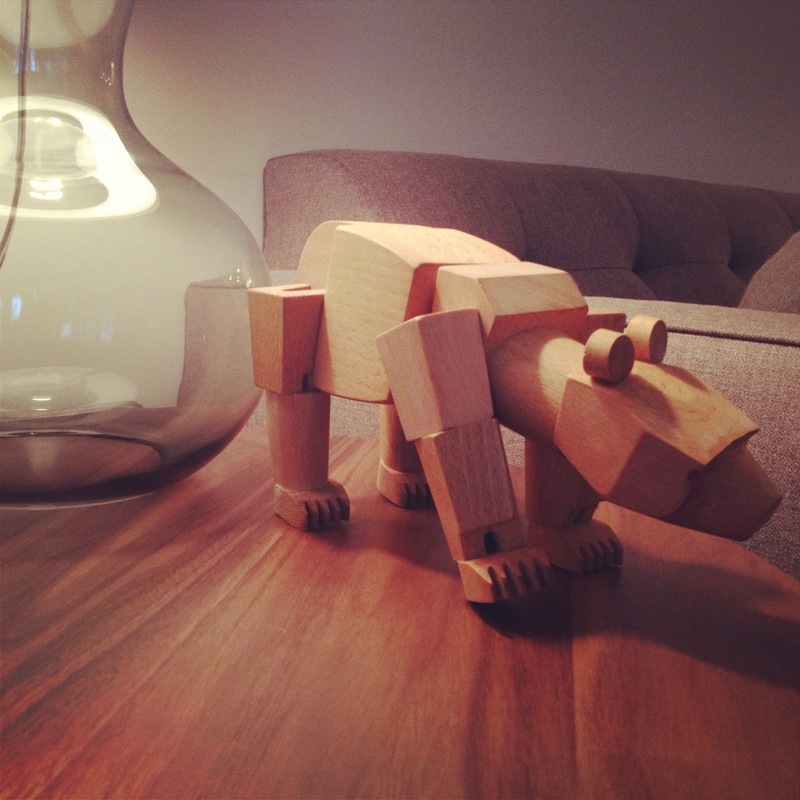 Tweek Studio's animals are available on their website and they also sell some awesome solid wood robots as well.